$49.99 cash (was $64.99 cash) good 11/4/14 thru 11/15/14. The village slope on the north side of Nuits St. Georges in the Cote d’Or in Burgundy. 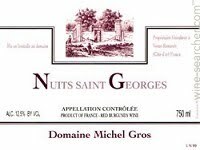 Michel Gros is the sixth generation of his family to tend these vines and make wine from the area of Nuits St. Georges, Vosne Romanee, and Clos Vougeot. His father’s label was domaine Jean Gros and his father’s label was Domaine Gros Renaudot. 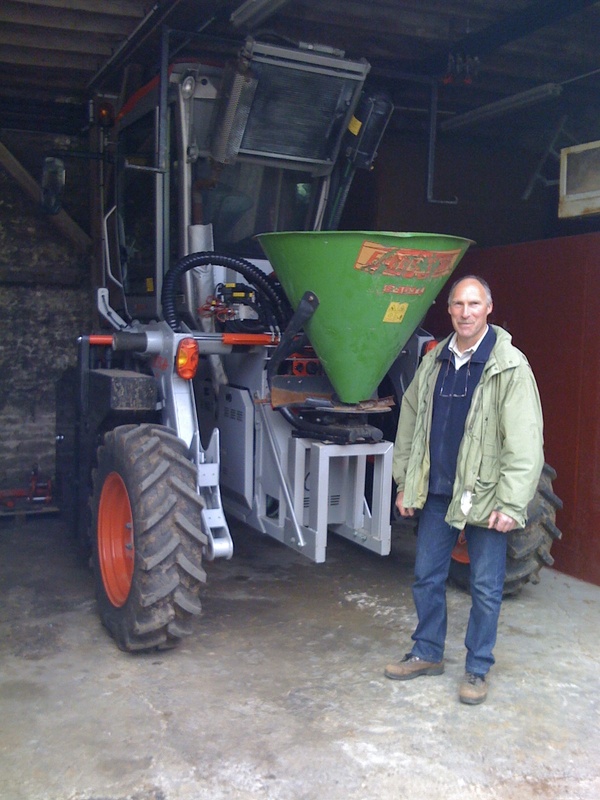 As good as he is in the winery, Michel is a farmer first. His wines are the complete expression of his terroirs with minimal-to-no input from a winemaking style. Here the person makes sure the place is paramount. 100% Pinot Noir from four parcels on the Vosne-Romanee side of Nuits fermented in open tops with punch-downs and aged 14 months in all French oak barrels (40% new). Red in color with well formed legs; dry, medium-bodied with fresh acidity and medium-light phenolics. Supple, juicy but still firm Nuits. It shows darker red fruits but somehow there is still some cranberry along with the roasted spice and black pepper. The oak and earth are integrated and the whole is complete. BearScore: 92.